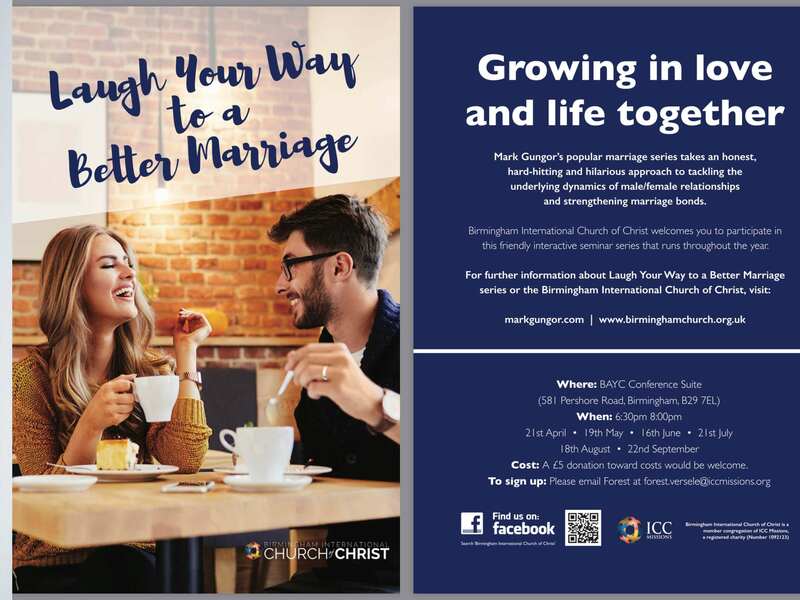 Mark Gungor’s popular marriage series Laugh Your Way to a Better Marriage takes an honest, hard-hitting and hilarious approach to tackling the underlying dynamics of male/female relationships and strengthening marriage bonds. Birmingham International Church of Christ welcomes you to participate in this friendly interactive seminar series that runs throughout the year. Entry is free and a £5 donation toward costs would be welcome.